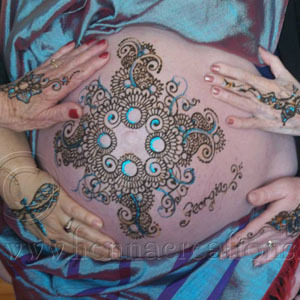 All bridal & bridal party henna must be applied 2 days before the wedding. 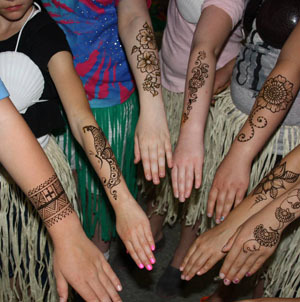 The bridal party can be hennaed in a group setting (no drinking until after the henna! 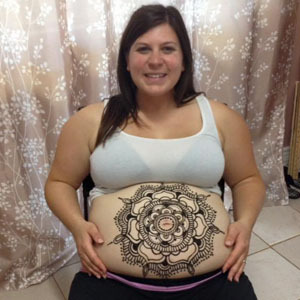 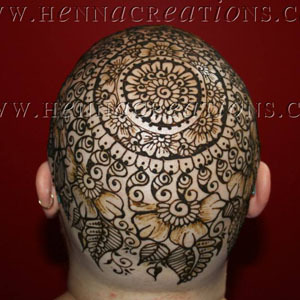 ), but the bride must be hennaed in a private appointment. 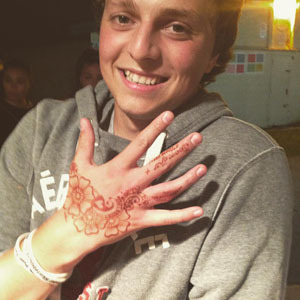 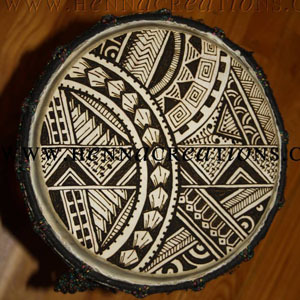 If heavy detailed, full henna designs are being applied to both palms, one friend or relative may be present to help the bride. 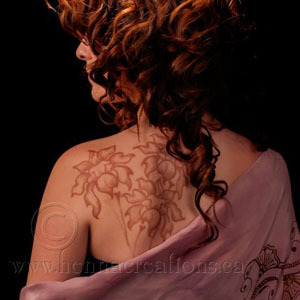 Mica gilding and Swarovski crystals can be applied in a second appointment the morning of the wedding for an additional fee (determined by the size and intricacy of the design).